On October 28, 2011, the United States Bankruptcy Court for the Eastern District of Virginia issued an opinion with significant ramifications for any holder of a patent license that operates internationally. At issue was an important protection afforded to patent licensees under the United States Bankruptcy Code, § 365(n), which limits a debtor’s right to reject intellectual property licenses in bankruptcy and generally provides that, in the event of a rejection, the licensee may elect either to treat the license as terminated or retain its rights for the duration of the license. Qimonda AG (Qimonda) filed insolvency proceedings in Munich, Germany in January 2009. Qimonda’s assets include approximately 10,000 patents, including 4,000 U.S. patents, related generally to memory and semiconductor technology. 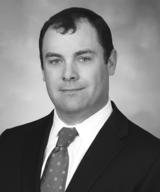 In June 2009, Qimonda’s insolvency administrator, Dr. Michael Jaffé, filed a petition in the Eastern District of Virginia under Chapter 15 of the United States Bankruptcy Code for recognition of the insolvency proceedings in Germany. 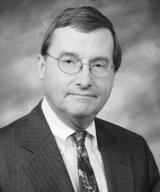 The Virginia Bankruptcy Court entered an Order recognizing the German proceedings in July 2009. The recognition order expressly made § 365 of the Bankruptcy Code applicable to the U.S. proceeding. Dr. Jaffé filed a motion to modify the recognition order to clarify that § 365 would not apply in the event he sought to exercise his rights under the German Insolvency Code, which lacks protections equivalent to those found in § 365(n), with respect to contracts. Several Qimonda licensees opposed this modification, which would curtail their ability to avoid infringement claims. The court ultimately granted the motion and issued a revised recognition order in substantially the form requested by Dr. Jaffé. After an appeal, the District Court remanded the matter with instructions for the Bankruptcy Court to determine whether restricting rights under § 365(n) “was manifestly contrary to the public policy of the United States” and whether the licensees would be “sufficiently protected” in the absence of § 365(n). During an evidentiary hearing earlier this year, the objectors demonstrated that the semiconductor industry is a “patent thicket,” where any given device may embody multiple patents held by multiple parties, including third parties. Because it is not viable for manufacturers to identify all of these patents up front, they typically seek a degree of quietude from patent infringement claims by entering into license, cross-license and joint development agreements with each other. Without these agreements, manufacturers face the risk of a disproportionately expensive license if found to infringe after they are heavily invested in production. The Qimonda licensees provided expert testimony that eliminating the § 365(n) protections and allowing Qimonda to reject their licenses would upset this détente and result in uncertainty, affect investment decisions and increase the “hurdle rate,” thereby slowing the pace of innovation and overall economic growth. Dr. Jaffé, on the other hand, asserted that allowing the provisions of the German Insolvency Code to prevail would not significantly impact the market because he committed to re-licensing the Qimonda patents on reasonable and non-discriminatory (RAND) terms. Dr. Jaffé also pointed out that, because § 365(n) would preserve only the U.S. patent licenses, the objectors would still need to re-license Qimonda’s several thousand foreign patents to fully preserve the “design freedom” they were asking the Bankruptcy Court to protect. The Bankruptcy Court looked to the legislative history of § 365(n), which explains that the provision’s purpose is to remove a burden imposed on American technological development that was never intended by Congress. In light of this history, the court addressed whether limiting § 365(n) would appropriately balance the interests of the debtor and the licensees and whether granting comity to German law would be manifestly contrary to the public policy of the United States. Balancing interests as between the debtor and the objectors, the Bankruptcy Court recognized that the objectors would likely have to renegotiate licenses to Qimonda’s numerous foreign patents regardless of the court’s decision. Although the licensees were not able to identify any specific Qimonda patents that were required to manufacture their products, the court found that cancellation of their rights to use Qimonda’s patents created a substantial risk of harm in the form of uncertainty regarding potential claims for infringement, some of which had already been outlined by Dr. Jaffé while attempting to renegotiate the licenses. The court acknowledged that Dr. Jaffé’s agreement to re-license on RAND terms reduced the risk of a premium, but noted that the licensees risked economic harm insofar as they had effectively lost the opportunity to design around Qimonda’s patents by making sizeable initial investments in reliance on their licenses to, and without detailed analysis of, Qimonda’s intellectual property. On the other hand, Dr. Jaffé would still be able to monetize Qimonda’s patent portfolio by licensing the U.S. patents to other entities and by relicensing the non-U.S. patents to the objectors, and would not suffer any affirmative burden on the German estate by application of § 365(n). On balance, the court determined that the balance of interests favored application of § 365(n). In addressing the public policy considerations, the Bankruptcy Court again focused on the legislative history of § 365(n) and inquired whether the policy promoted by that section is “fundamental.” Although application of § 365 is discretionary in cross-border cases, the court was persuaded by the licensees’ expert testimony that the threat of uncertainty could result in many innovative products coming to market later to the detriment of the U.S. economy. Under the circumstances, then, the court concluded that failure to apply § 365(n) would severely impinge an important statutory protection and undermine a fundamental U.S. public policy. Indeed, because patents are territorial, and because the protections of § 365(n) do not apply to foreign patents, the court’s decision might actually promote additional high technology investment in the United States. While the Bankruptcy Court’s ruling that § 365(n) would apply in the Qimonda case could be limited to the facts of this particular case, the rationale for application of § 365(n) may exist in other industries, particularly those that feature rapid innovation, geographically distributed activities, and a crowded patent landscape. It is also important to recognize the need for licensees to affirmatively assert that § 365(n) should apply in cross-border cases and to promptly move to protect their rights in any cross-border bankruptcy case. 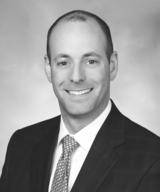 Andrew H. Sherman, Lucas F. Hammonds | Sills Cummis & Gross P.C. The Bankruptcy Code is a powerful tool for debtors in assuming or rejecting unexpired issues in commercial real estate. 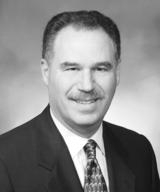 Andrew H. Sherman | Sills Cummis & Gross P.C. Sills Cummis & Gross insolvency specialist Andrew H. Sherman discusses an industry plagued with uncertainty and struggling to get back on its feet. His remarks have been edited for length and style.